*This is a passage that never made it into my upcoming biography, Miriam Hopkins: Life and Films of a Hollywood Rebel, to be published on January 5, 2018 by the University Press of Kentucky. Copies can be preordered at AMAZON. One day, in her dressing room at Goldwyn Studios, Miriam Hopkins hosted a lunch for her husband Anatole Litvak, director Edmund Goulding and his Lordship, The Earl of Warwick, who she met in London the previous year. Warwick was in Hollywood to kick start an acting career using the stage name Michael Brooke. As they dined, she received a call from her ex-husband, Austin “Billy” Parker, asking if he could borrow her car and chauffeur. Since his valet-chauffeur was in an accident, he needed a man to wake him in the morning, make his tea, shine his shoes, and so forth. Thinking fast, Miriam realized this was a chance to play a practical joke on her former husband. She explained that her car was in the shop, but she would ask Edmund Goulding if he could help. Placing Billy on hold, she said to the Earl, “You want to get in pictures, don’t you? Well, if you can pass yourself off as a servant before [Billy], who knows actors and theaters backward, then you’ll know you’re good.” The Earl nodded in agreement. Miriam told Billy that Goulding would loan him his valet for the day. “Is the man a good valet?” Billy asked. Billy sounded pleased. “That’s marvelous,” he said. Warwick borrowed a chauffeur’s uniform from Goldwyn’s costume department and reported to Billy’s home the next morning, promptly at eight o’clock. Billy, still in bed, bellowed for his tea and toast. Warwick burned the toast. The morning tea was bitter and black, and the teacups and two vases were somehow broken. When Billy ordered him to make the bed, lumps like mountains remained in the coverlets. His Lordship helped Billy on with his boots, but he was clumsy. The shoe polish spilled into the shoes, on the floor, and everywhere. When they left the house at noon, Billy was terribly pressed; jerkily shaven and the Earl’s erratic driving down Sunset Boulevard left him a nervous wreck. He was disgusted but didn’t want to be ungracious to the man that Goulding had so graciously loaned him. Michael Hopkins, the adopted son of actress Miriam Hopkins, died on Tuesday morning in a convalescent home in Riverside, California. He was 78. In 1932, Miriam Hopkins became one of the first people in Hollywood to adopt a child – and was a single mother at the time. Miriam had just divorced her second husband, writer Austin Parker, and surprised everyone when she stopped off in Chicago on her way to New York and visited the Cradle Society, an adoption agency in suburban Evanston. Requesting a tour of the institution, she examined all the children and studied their records of what was known of their parents. Finally, she happened upon a tow-headed, blue-eyed baby boy and immediately fell in love. The boy was known as Baby Wilson. “He’s healthy and cute,” said a representative from the orphanage. Discovery of her plan to adopt a child and the resulting publicity annoyed Miriam and after adoption papers were signed she left the court declaring that she did not want to talk about it, or anything else for that matter. When Miriam returned the following week to pick up Michael, she had her friend, Dorothy Parker with her. Because Michael had blonde hair and blue eyes and closely resembled his adoptive mother, rumors arose that possibly Michael was her biological son. Even though Michael grew up in Hollywood, he was rarely exposed to the Hollywood scene. Miriam bought John Gilberts house on Tower Road in Beverly Hills and had it remodeled. That is where Michael spent most of his childhood. “Tower place was nice because it had the amenities – a tennis court and swimming pool,” Michael recalled. Later in his life he returned to the place he grew up and was disappointed because it had been razed and was replaced by another house. Because the house was located in the hills and was accessed by a winding road, Michael never learned how to ride a bicycle. Miriam was afraid he would ride down the winding road and somehow careen off the edge of a cliff. Miriam’s neighbors on Tower Road were, Charles Boyer, Edgar Bergen and Sabu. Once, Michael and his best friend, Bob Potter, the son of director H. C. Potter (and Michael’s godfather) found some trouble at John Barrymore’s home, which had several buildings with many glass windows. Temptation took over one day and they took turns seeing who could break the most glass. Miriam’s third husband, Anatole Litvak was the one who most treated Michael like a son. He was also a very dominate personality, but he gave Michael attention while Miriam’s other suitors didn’t. When Litvak was around it was more of a father son relationship. However, being single during much of Michael’s youth, Miriam took responsibility for being both mother and father. She persuaded Bill Tilden to provide tennis instructions and Jose Iturbi, piano lessons. Because Michael was interested in planes, she arranged for Igor Sikorsky to instruct him on flying. Michael’s schooling continued at Riverdale High School and Valley Forge Military Academy and culminated in four years at Lawrenceville. In his youth, Michael dated Elizabeth Montgomery and Irving Berlin’s daughter, Linda. Chris looked at him and replied, “Yeah, and that girl over there is my sister.” So was her introduction to her mother-in-law. Michael and Chris were married in Morocco without Miriam’s presence. Michael made a career in the Air Force and as is usual in the military, was assigned to several bases over the world during the next ten years. In 1955, they had a son they named Thomas, and who became the apple of his grandmother’s eye. In 1966 Michael was assigned permanently to March Air Force Base in Riverside, California where they made their home. Every other weekend, Michael, Chris and Tom would travel to Beverly Hills where they were expected to attend Miriam’s Sunday afternoon gatherings. 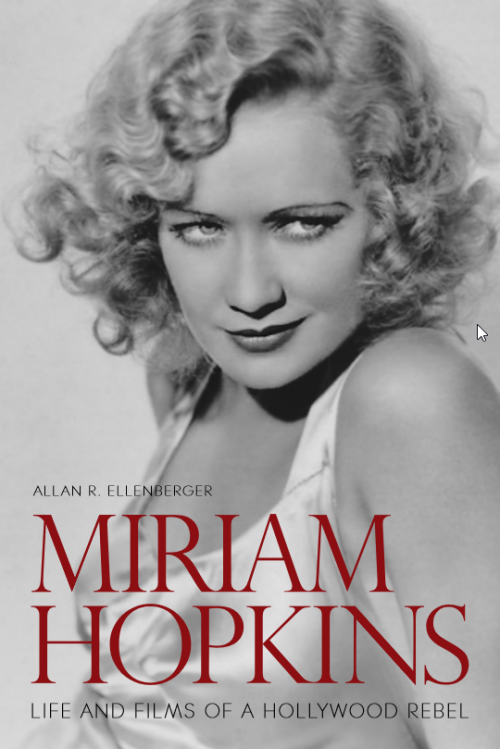 It was there that they met William Saroyan, Edward G. Robinson, Tennessee Williams, Loretta Young, Shelly Winters and all of Miriam’s friends. In 1972 Miriam died at age 69 and Michael took his mother’s ashes to her hometown cemetery in Bainbridge, Georgia, and had them interred next to those of her mother. In recent years Michael suffered from Parkinson’s disease and diabetes. Funeral services will be held on Monday, October 11 at St. Thomas Catholic Church in Riverside, with interment at Riverside National Cemetery. Michael is survived by his wife Christiane and son Thomas.